For the first time, Atlanta has advanced to the Eastern Conference finals. 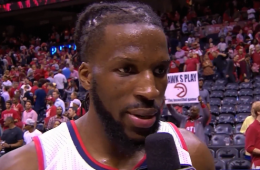 Powered by a playoff career-high 25 points from DeMarre Carroll. 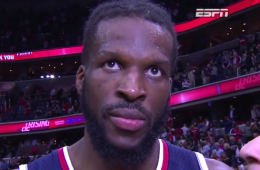 The Atlanta Hawks pulled even with the Wizards at one game a piece in their series behind forward DeMarre Carroll and his 22 points, 6 rebounds and 4 assists.